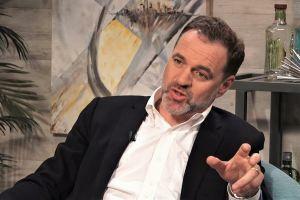 Niall Ferguson is a known author who focuses on economics and history. His most popular work to date is "The Ascent of Money: A Financial History of the World." 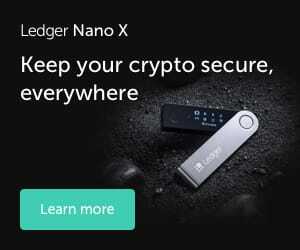 On Tuesday, he admitted it was his deep understanding of financial history and innovation that led him to dismiss the idea of blockchain-based currency initially, The Australian Financial Review reported. "I was wrong to think there was no use for a form of currency based on blockchain technology. I don't think this will turn out to be a complete delusion," Ferguson was quoted as saying. For example, after stressing that Bitcoin is "trying to solve a problem that does not exist" a year ago, Lisa Ellis, a top Wall Street analyst focused on the payments industry, last week said that cryptocurrencies "are potentially disruptive to private payment systems." Also, another critic of Bitcoin, Jamie Dimon, CEO of the investment banking giant JPMorgan, is now betting on their own JPM Coin, the centralized digital token, and says that one day it "could be internal, could be commercial, it could one day be consumer." The list includes billionaire entrepreneur, owner of Dallas Mavericks, Mark Cuban, who said in 2014 that 'Bitcoin has no shot as a long-term digital currency'. However, despite he still shows his skepticism towards crypto, Cuban acquired a "relatively small" amount of bitcoin, made some other crypto related investments and last year announced that the Mavericks will accept crypto in exchange for tickets and merchandise. Also, long-time Bitcoin critic, Nobel laureate Robert Shiller gave some hope to crypto last year when he said that "something good may come out of this" adding that "I don’t mean to be dismissive of Bitcoin." However, many renown economists and businessmen remain skeptical. The list of famous crypto critics includes Paul Krugman, Warren Buffett, “Doctor Doom” Nouriel Roubini himself, and Microsoft’s co-founder Bill Gates. A year ago, Gates said that "right now cryptocurrencies are used for buying fentanyl and other drugs so it is a rare technology that has caused deaths in a fairly direct way." While last May he continued that he would short Bitcoin if there was an easy way to do it. “As an asset class, you're not producing anything and so you shouldn't expect it to go up. It's kind of a pure 'greater fool theory' type of investment,” he said. However, back in 2013, he said that "transforming the underlying economics of financial services through digital currency will help those who live in poverty directly."